Today is the funeral of Rev Billy Graham. I wanted to briefly discuss how Billy Graham touched my family and affected my relationship with God as a result. I thought this a fitting tribute. While my beliefs don’t perfectly align with his, I wish this blog to accentuate the positive on this occasion. As a condition of being married in the Roman Church, my dad was required to sign an agreement with the Church that he would allow his children to be raised Roman Catholic—my mom’s faith. Just over a decade later, in the 1970’s, I was transitioning from a private Catholic elementary school to a public junior high. At this period, my mom watched Billy Graham on a local television broadcast. She knew about Jesus but felt distant from him. As Graham spoke, she felt her need to have a more lively faith and walk with Christ. As Graham asked his audience to pray with him, so did my mother. Graham’s basic message included the concept that it was not our works—the things that we did or did not do—that got us into heaven but that our works were inadequate to gain salvation. Our sin separated us from God. Only the work of Christ dying on our behalf could get us into heaven. We must acknowledge our sin and ask Christ to forgive us and enter our hearts. It was not the external that related us to God but the renewing of our hearts that cause our regeneration (in Graham’s terminology, being born again). To this end, it was Graham’s practice to conclude his sermons with a call to get into a right relationship with God. As such, he would ask that people pray with him as he recited “the sinner’s prayer”. This prayer caused a change in my mother and she began to explore other places to worship. As a result, we ended up attending a local Baptist church. A few months later, my sisters and I attended a summer camp sponsored by the new church. At camp, we also made a commitment of our lives to Christ. As a result of my camp experience, I was a different person. I had a hunger for reading the Bible and learning about God. I had a lively faith and wanted to share it with others. Over the years, I have continued my walk with God, sometimes closer than others. I have moved beyond the Baptist ways and found a way to make peace with the Roman Church as well. 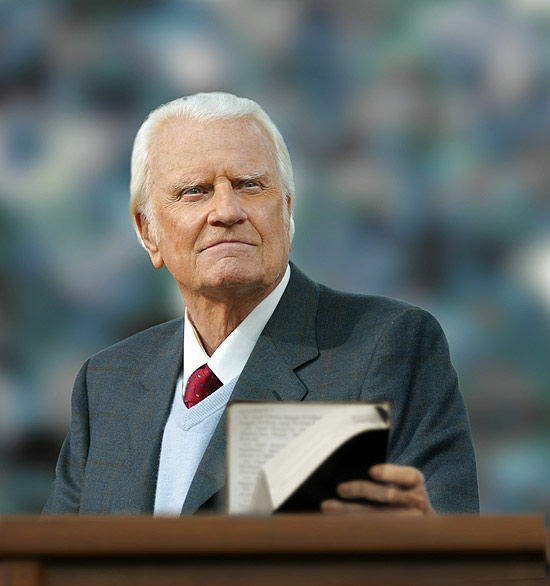 I am grateful to the ministry of Billy Graham for the difference that has been made in my life.